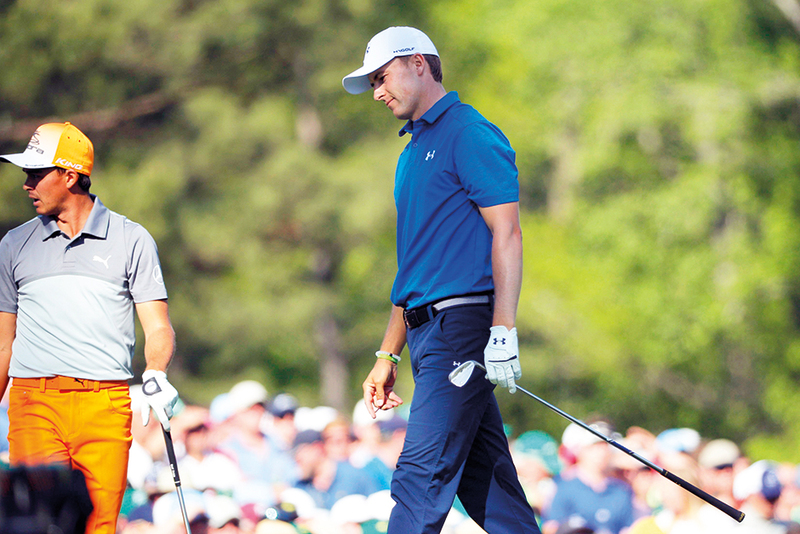 Augusta, Georgia: Jordan Spieth and Rickie Fowler were supposed to lead the American charge in the final round of the Masters but the US pair fluffed their lines while Sergio Garcia delivered a storybook ending to the first major of the year. As Garcia and Justin Rose slugged it out in an all-European duel for the Green Jacket, Spieth shot an error-strewn 75 and Fowler an ugly 76, extending his wait for a first major title. Both Americans finished tied for 11th on one under par, eight shots behind Garcia, who beat Rose in a playoff. Spieth, who finished second, first and second in his first three Masters, was not unhappy with the way he played despite dropping seven shots over the opening 14 holes. The 12th hole proved problematic once again for the 23-year-old, who came to grief in spectacular fashion at the same hole while leading the tournament in the final round last year with a quadruple-bogey. He suffered a double bogey at the tricky par three on Sunday. Spieth, who had birdies on three of his last four holes, was just happy to finish under par. “I’m really happy with the way that we finished off this round to get back to red,” he said. “I didn’t feel like I had been doing much wrong and I just look up and it just wasn’t landing where I thought it would.” Spieth did regret the negative impact his performance had on world number eight Fowler, who had started the day just one shot off the lead. “I feel bad I went so downhill while Rickie was still in it, because it is tough when you don’t see a ball go in the hole,” he said. “I was his biggest cheerleader, just being really good friends with Rickie. It was tough.” Fowler, 28, was still in contention at five under at the turn but five bogeys on the back nine scuppered his chances. “I played nicely on the front. And hit a good shot into 10, which I rarely do. But every time I chipped it close I missed the putt or I didn’t chip it close enough and I’d still miss the putt,” said Fowler. “It would have been nice to swing a little better, like I have been but that was a little off. I didn’t just hit the ball up and down or make the putts I needed to.” Matt Kuchar was the highest finishing American, tied for fourth, followed by Kevin Chappell in joint seventh and Ryan Moore in a share of ninth place.